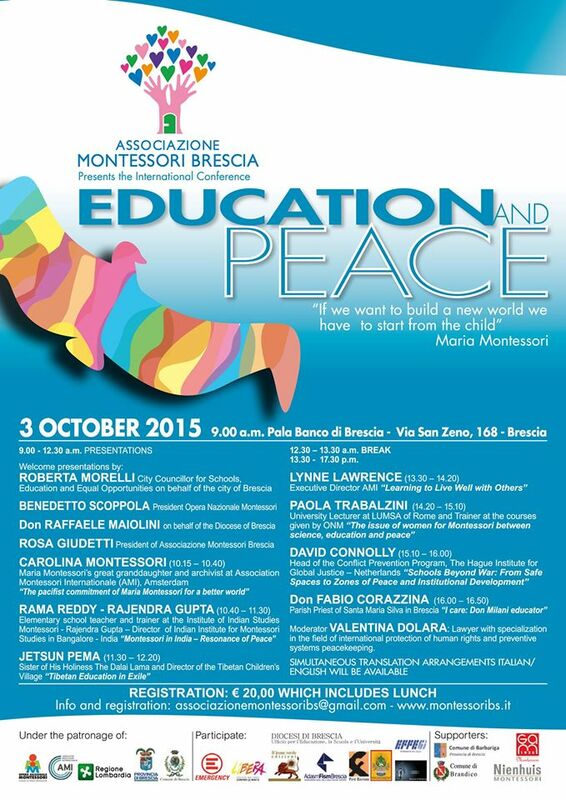 Associazione Montessori Brescia presents the international conference “EDUCATION AND PEACE” that will be held next October 3rd 2015 from 9.00 at “Pala Banco di Brescia” – Via San Zeno n. 168, Brescia, Italy. 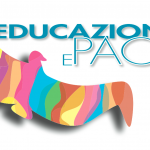 The conference is part of a set of events organized by the Association Montessori Brescia to contribute to the promotion and dissemination, in families and schools, of Maria Montessori’s ideas and pedagogical method. This year the conference will address the important link between Education and the building of a world of peace. 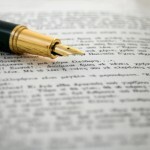 The conference will trace the presence of Montessori’s ideas in Eastern cultures, which are known to represent the cradle of peace, dialogue and interiority; will tell the extraordinary educational experience of Don Milani and others; will cover hot issues such as the protection of the dignity of women, the value of democracy and the conflicts with totalitarian regimes (religious and otherwise). The admission fee is € 20,00 and includes lunch. For high school students the fee is reduced to € 5,00 but without lunch included. Their accompanying teacher will receive free admission. To reserve admissions send a mail to: convegnoamb2015@gmail.com with payment receipt and registration form before October 1st 2015.